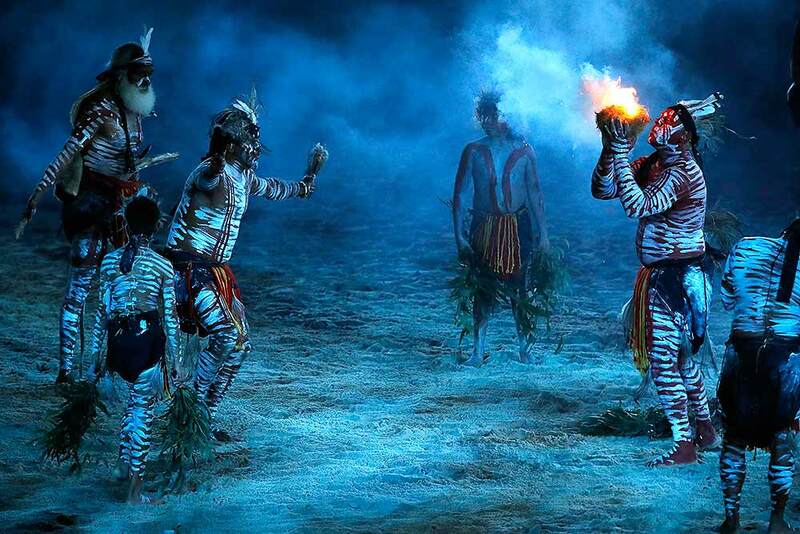 Aborigines perform a smoking ceremony at Carrara Stadium during the opening ceremony for the 2018 Commonwealth Games on the Gold Coast, Australia. India's flag bearer P.V. 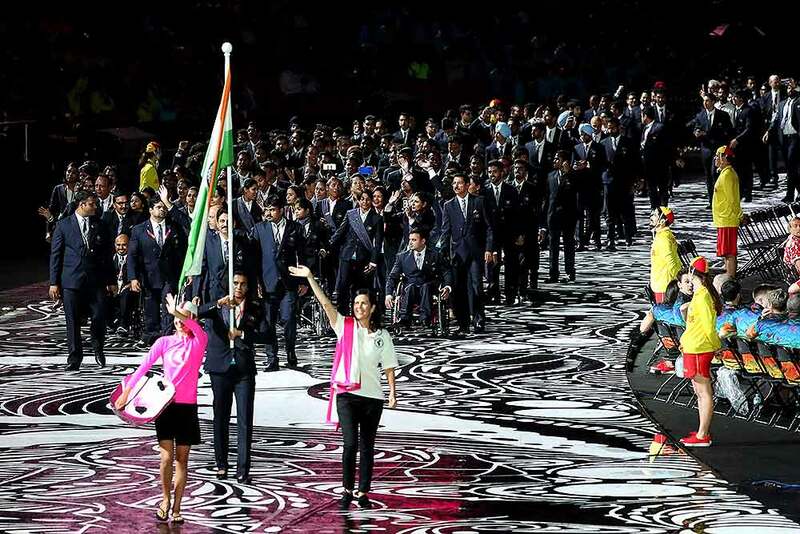 Sindhu leads her team into Carrara Stadium for the opening ceremony for the 2018 Commonwealth Games on the Gold Coast, Australia. Team members of Trinidad and tobago march into Carrara Stadium for the opening ceremony for the 2018 Commonwealth Games on the Gold Coast, Australia.